As fall begins to set in across the country, so does a long offseason for open-wheel racing in North America. To hold us over for a little while, the Mazda Road to Indy put on a show in its final team event – the Chris Griffis Memorial Test held at the Indianapolis Motor Speedway on October 21 and 22. With Open-Wheels “recharging” during that time period, I thought it would be a good idea to speak on some of the headlines from the testing weekend in order to put a bow on 2017. Check them out below! Following a USF 2000 campaign in which he finished as the runner-up, Rinus VeeKay made waves when he jumped straight into an Indy Lights machine for Belardi Auto Racing. While he has driven in a Pro Mazda machine before taking laps in the Lights car (he is actually the only driver to pilot each current MRTI ladder car), his jump to an Indy Lights test without race experience in a Pro Mazda was impressive in itself. It became even more impressive as the times began to roll in. After spending much of 2017 in IMSA sportscars, Pato O’Ward is eager for a return to open-wheel racing. A runner-up in the 2016 Pro Mazda championship (he won seven races), funding kept him at an arm’s length for the 2017 calendar year. O’Ward competed in four early-season events for Team Pelfrey this past year with a podium at St. Petersburg, and Indy Lights is where he would prefer to be for 2018. “I’d love to do Indy Lights. That would be what I would’ve done if I had the funding behind me this year,” stated O’Ward, still 18 years of age. While he has a working relationship with Team Pelfrey, that connection alone doesn’t carry the weight in this era of funded motorsport. Drivers, even attractive prospects like Pato, must scratch and claw their way to sponsorships while doing most of the legwork on their own. On his outlook for 2018, the Monterrey, Mexico native is still optimistic in finding season-long funding. “I’m still looking around. I do not want to leave open-wheel because that is my passion. At the end of the day, I really like racing it. 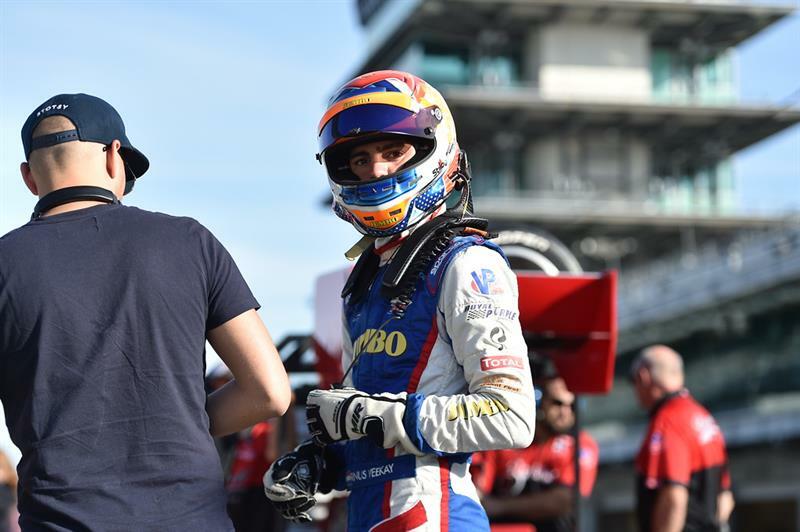 As of right now, my goal is to do the four IMSA endurance races in a Prototype car and Indy Lights (full-time), but I don’t have anything yet.” Best of luck to Pato in his efforts to find a ride in 2018. Another interesting story to come out of last month’s Chris Griffis Memorial Test was Aaron Telitz’s absence from Indy Lights participation. He finished 6th in the 2017 championship which included wins at the season opener in St. Petersburg and the final race of the year at Watkins Glen. While Telitz was somewhat inconsistent (he was unable to follow up any of his four podium finishes with another podium), his 2017 season was a fine Indy Lights rookie campaign. Unfortunately, the ugly head of motorsports – money – has Telitz on the outside looking in for a sophomore campaign in 2018. Without a ride secured, he jumped into the other two cars from the Mazda Road to Indy ladder – the USF2000 and the brand new Pro Mazda PM-18. Looking for any seat time possible, Telitz turned laps in the USF-17 with RJB Motorsports and in the PM-18 with his 2016 Pro Mazda championship squad in Team Pelfrey. Aiming for positivity, the 25-year-old was honest in his 2018 prospects. “I’d like to find some more money… that’d be great. Obviously that’s what everybody says – so that’s nothing new – but we’re working on some sponsorship deals that’ll hopefully allow us to get back into Indy Lights next year.” We wish Aaron the best in his search for additional funding, and hope his development is not stunted as a result of sponsorship woes. While the Mazda Road to Indy does a fine job at developing talent, maybe it is time that we take a look at how teams and their drivers can be supported so the careers of drivers such as Telitz can continue as they naturally should. Capping off a dazzling rookie season that saw him win twice and record seven pole awards, the son of “Hertamania” finished strong with a dominant driving display at the Chris Griffis Memorial Test. Colton Herta was quickest in test sessions four, six and eight, and never placed lower than fourth over eight practices at the Indianapolis Motor Speedway road course. While it appears that his father, Brian, would like some more seasoning prior to an appearance in the Verizon IndyCar Series, Colton has got to be on the radar for teams looking to fill a seat in May and would be an intriguing option. Keep an eye on this development. The Verizon IndyCar Series isn’t the only open-wheel championship getting a fresh look for the 2018 season. The Pro Mazda presented by Cooper Tires series unleashed the brand new “Tatuus” chassis at the Chris Griffis Memorial Test last month, and to generally rave reviews. The car features a beautiful, sleek profile that suits the middle ladder of the Mazda Road to Indy perfectly while providing new challenges. 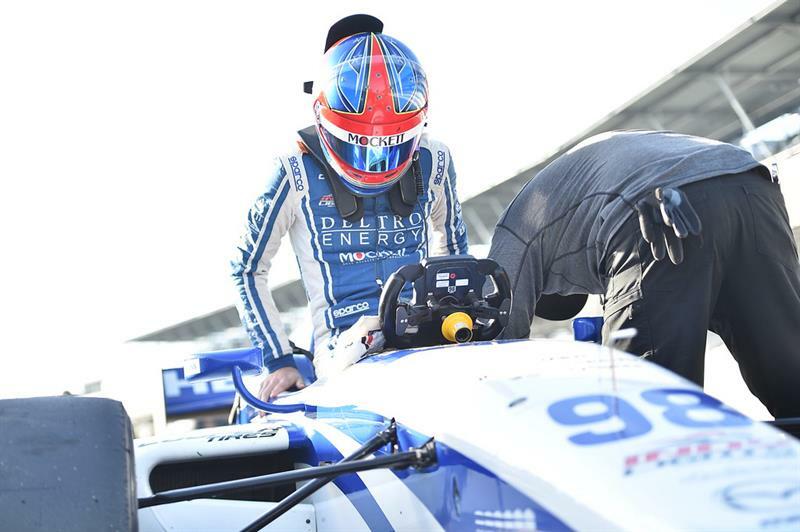 USF2000 champion Oliver Askew adapted to those challenges exceptionally, leading four separate test sessions while completing 126 laps on the weekend. Carlos Cunha was also quick over the two days of testing, and his opinion of the new car echoed the sentiment found throughout the paddock. “I think the car’s completely different. The first time I drove it, I was like ‘OK, this is a real race car!’ It’s really technologically advanced, everything is really fast.” It is important to note the improvements in technology with this new chassis as Pro Mazda looks to keep up with cars in similar development series. While team events have subsided for the year, there is still one major meeting left on the North American open-wheel calendar. In its second year, the Mazda Road to Indy Scholarship Shootout will pit drivers from 20 unique championships against each other in the fight for a $200,000 award. Held this season at Wild Horse Pass Motorsports Park in Chandler, Arizona, the event is huge for drivers looking to join the MRTI as USF2000 rookies. Oliver Askew used a victory in last year’s event to fuel his 2017 USF2000 campaign – a season in which he won the driver’s championship – and now has his sights set on Pro Mazda in 2018. Champions of the following series will be invited, as long as they were between the ages of 14 and 25 on September 30: from Australia, Australian Formula Ford Championship; from Brazil, the Selectiva de Kart Petrobras; from Canada, the Formula Tour 1600; from England, the BRSCC Avon Tires FF1600 Championship, Formula Ford Super Series, Formula Ford Festival, and Walter Hayes Trophy; from India, the MMSC MRF F1600 Indian Championship; from Ireland, Formula Ford Ireland; from Mexico, the Formula Panam; from New Zealand, the New Zealand Formula Ford Championship; from Scotland, Beatson’s Scottish FF1600 Championship, from the United States, the Pacific F2000 Championship, Formula Car Challenge presented by Goodyear, F1600 Formula F Championship Series, Team USA Scholarship, and SCCA National Championship Runoffs. Two to three additional at-large invitations may be offered by Mazda, and a complete list of entries will be posted nearer to the event. Stay tuned to Open-Wheels.com this offseason for more information. Another really enjoyable article. Always well written, with solid information and insight. And thank you for all the MRTI coverage. Thank you for the kind words. We appreciate your support and hope that you stick with us through the long offseason into the 2018 opener at St. Pete.